Rachel is the new executive director of Leadership SRV. She is very passionate about the San Ramon Valley community and the LSRV program, having completed the class in 2006. 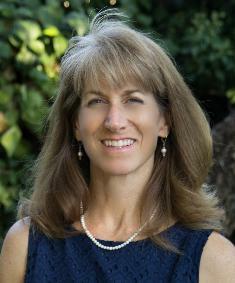 Rachel was elected to the San Ramon Valley Unified School District Board of Education in November 2006 and is serving her third term. She serves on the TRAFFIX Board of Directors, and is a board liaison to the Special Education Community Advisory Committee, the district’s negotiating team, the district’s Climate Committee, the SRV Council of PTAs. Prior to being elected to the Board of Education, Rachel was an experienced parent leader and volunteer in our community, serving in a variety of capacities at her children’s schools and at the district level. She served as Council PTA President, Special Needs Chairman, VP-Communications, and an adviser. She was also a PTA representative to the district’s Facilities Oversight & Advisory Committee, Reading & Writing Project Leadership Team, and Special Education Redesign Team. Rachel has a bachelor’s degree in mechanical engineering from U.C. Davis where she met her husband, Alec. After working in aerospace for 7 years, she focused on raising their three children, two of whom have dyslexia. Working through their learning challenges, learning about dyslexia, and trying to collaboratively affect change in the school system has helped shaped her “career” as an education volunteer. All three kids graduated from California High School. The oldest is an ironworker and works on large construction projects, and the other two are in college. Rachel continues to volunteer as a Barton tutor and for the SRV Council PTA as an adviser and member of a number of committees. She is active in the statewide grassroots organization, Decoding Dyslexia CA and serves as the Regional Leaders Manager. She is also a charter member of the Dougherty Valley/San Ramon Rotary Club.